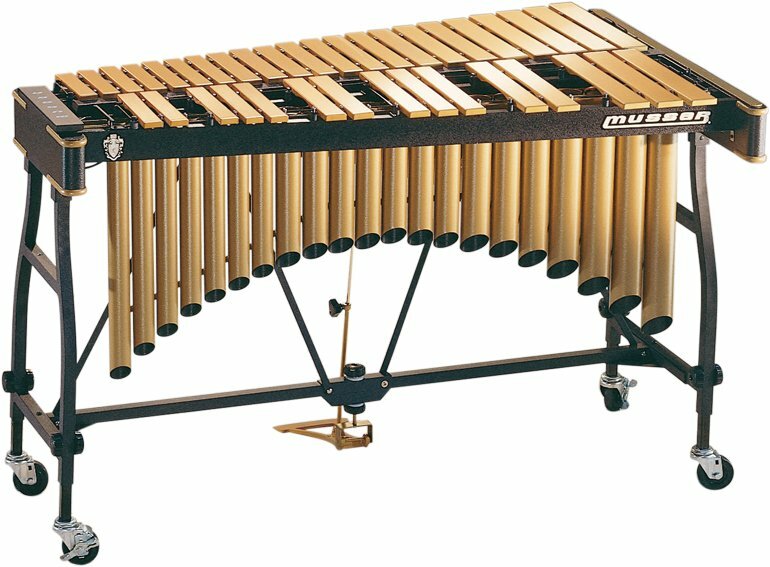 The touring professionals’ choice of vibraphones, the 3- octave Pro-Vibe was designed for peak performance and easy portability. Hand tuned bars and seamless arched and mitered resonators produce a rich and resonant tone. Adjustable, swiveling sustain pedal offers precise feel, and the variable speed motor is insulated for quiet operation. An adjustable damper bar and Musser distortion- free bar suspension system assure exact control. Available in durable silver powder coat finish or lustrous gold satin, the Pro-Vibe makes a stunning impression on the concert stage or playing field.